I had some white bread left over in my refrigerator from last week and was wondering what I should do with the same. 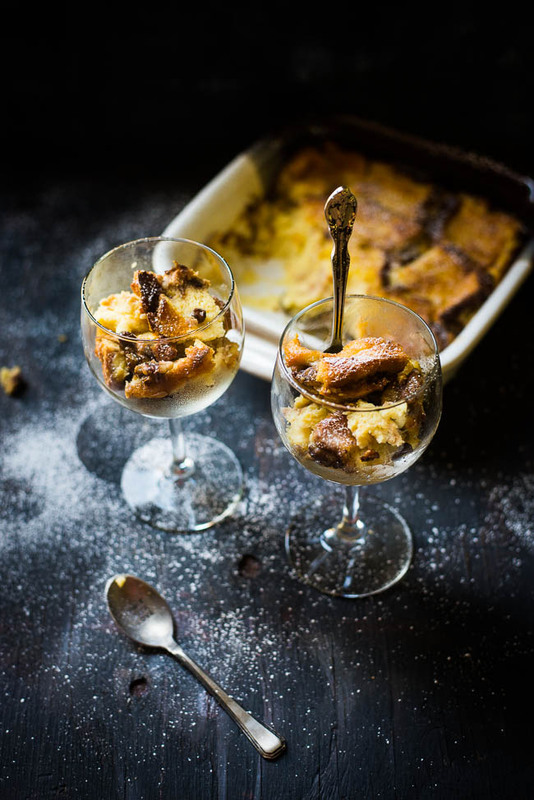 Then the thought of making Bread and Butter Pudding came to my mind. It brought some nice memories from my childhood. At that time my mom didn't know how to prepare modern cuisines , but I still recall that she used to make pudding pretty often. Not sure how she became interested and mastered making this dessert. This was one of the special dishes in the winter time for us and a pleasant change from ordinary day to day meals. Though didn’t have this mom’s recipe for long time, the taste remained unforgettable. 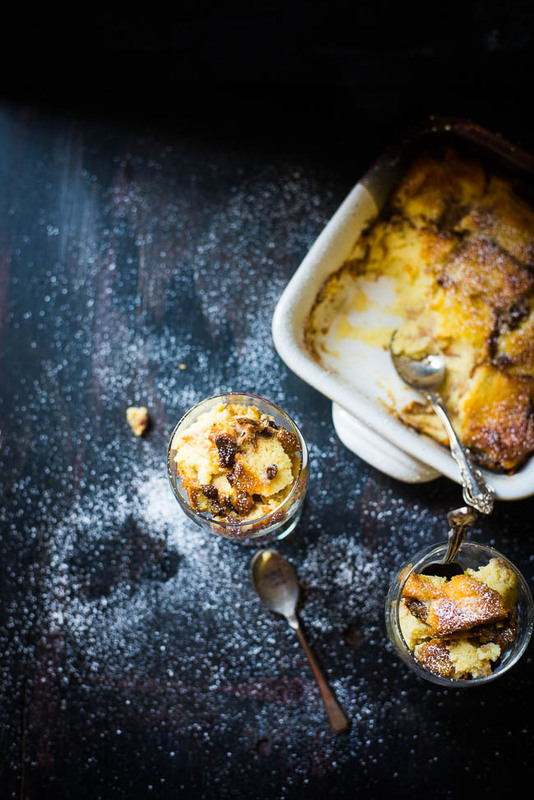 It became my favorite pudding due to its soft, moist taste and yet have a texture of bread. 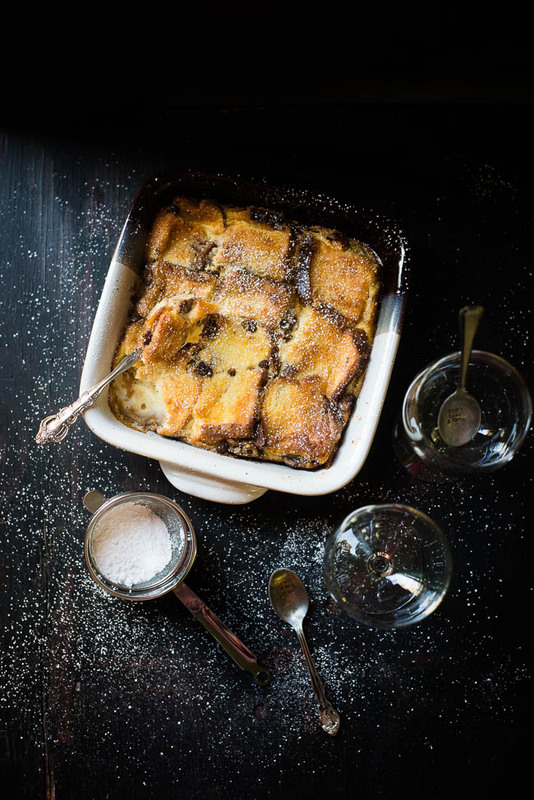 Bread and Butter Pudding is a traditional type of bread pudding . 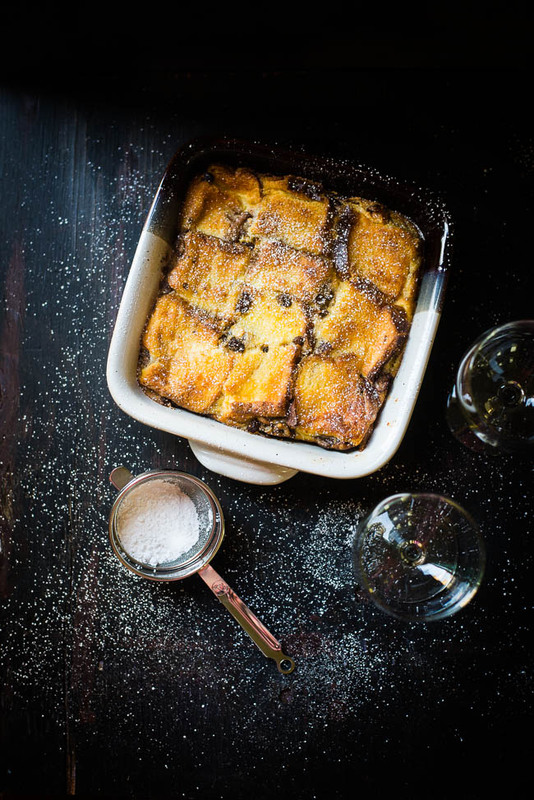 It’s believed that around early seventeenth century this great British dessert was originated. 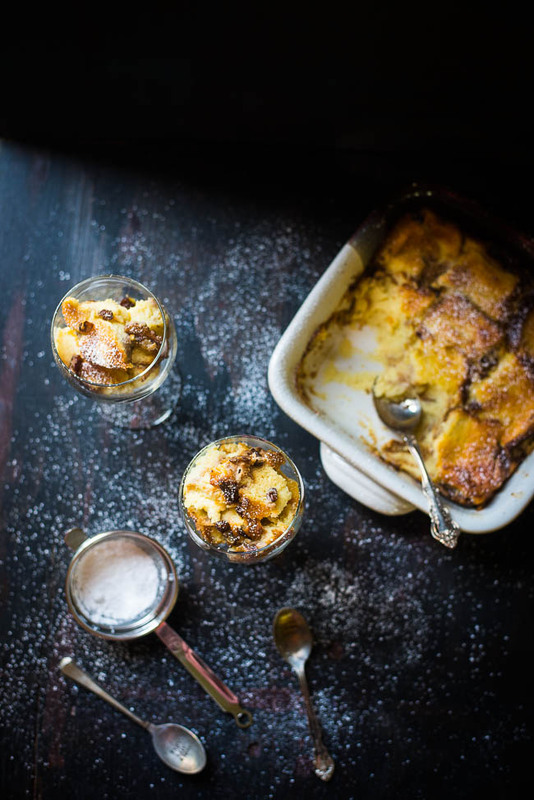 This is made with sliced white bread, butter, egg custard and seasoned with nutmeg , vanilla or cinnamon. It is often served with custard or cream but it is good enough without any sauce too. The recipe is very easy to make, in a word you can call it a kid-friendly recipe. 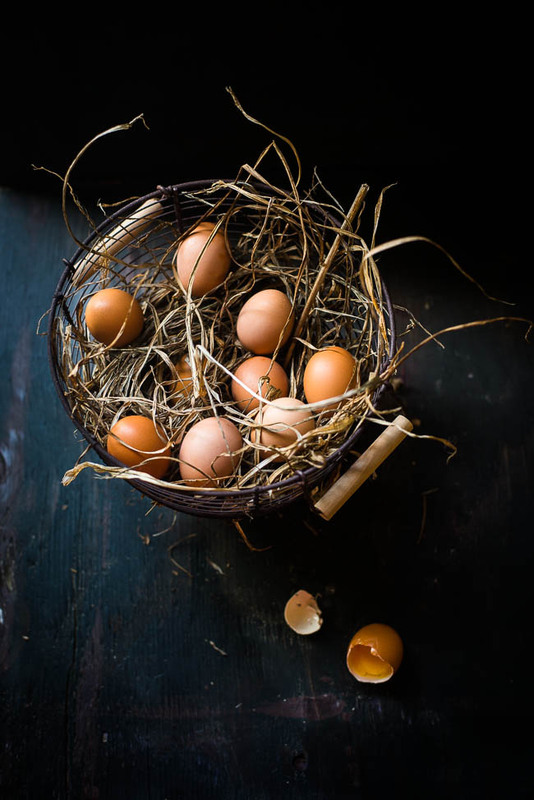 Cracking eggs, measuring, whisking and cutting breads are all very doable to the beginners. Not only easy to make but this dish is inexpensive too. From some leftover breads, suddenly a delicious dessert comes up with very little effort. You can use any type of bread for this recipe, croissants, loafs, buns or old bread should be fine. So here is the simple recipe that I hope you would like. 1. Preheat the oven to 350 degrees F ( 180 degrees C ) . Grease an 8 by 8-inch square baking pan with butter. 2. Put the bread pieces into the baking dish. Sprinkle the nuts and raisins over the bread pieces. 3. Take a large mixing bowl and the eggs, one at a time and whisk it. Add vanilla extract and cinnamon powder. Add sugar and mix it. Add the half and half and the butter. Mix it nicely until well combined. 4. Pour the egg mixture over the bread cubes. Press down the bread pieces slightly so that all the bread cubes are covered with the mixture. 5. Set the baking dish inside a 9 by 13-inch baking dish or roasting pan. Add hot water until it reaches 1/2 of the way up the sides of baking dish. Cover the whole thing with aluminium foil and bake it for about 60 minutes or until the custard has set. 6. Remove the pudding from water bath and let it cool. Serve warm or cold. This his heavenly and I am certain, I can replace it. Bookmarking the recipe. Baked it for tonight. Had a little extra cinnamon accidentally but hoping it will not ruin the taste.